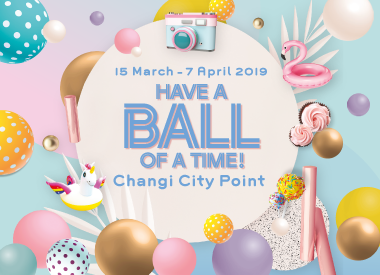 Home / Happenings / Promotions / Have a Ball of a Time at Changi City Point! 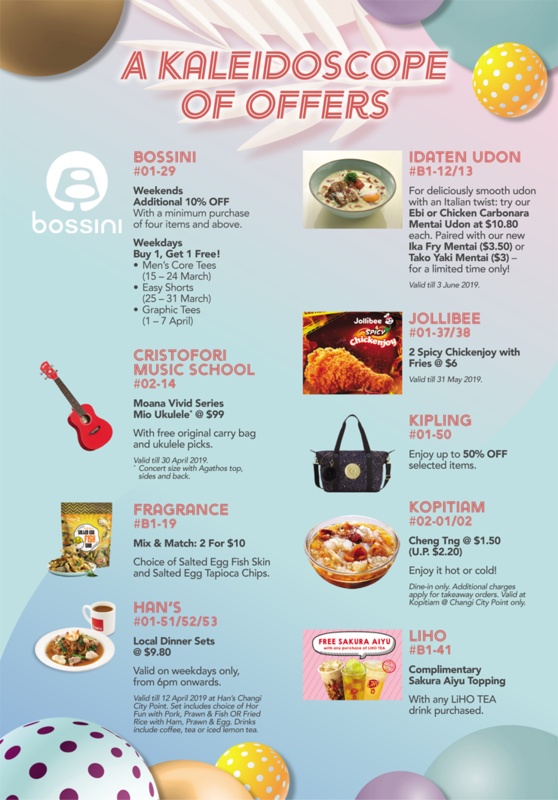 Valid from 15 Mar to 7 Apr 2019. Have a Ball of a Time! 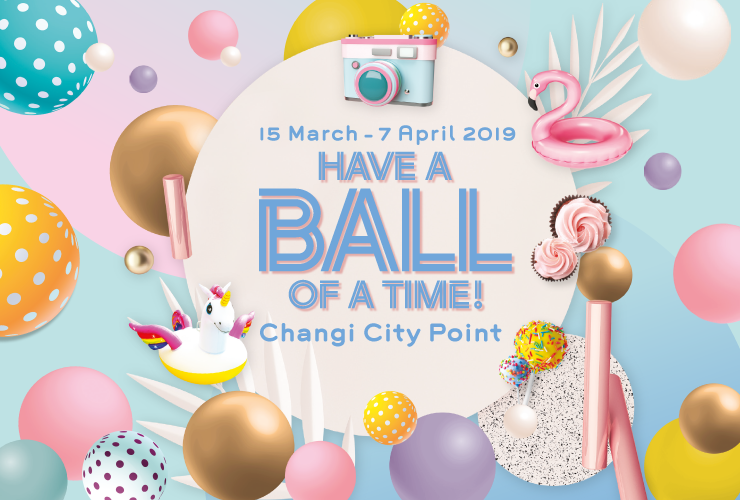 Yellow, pink, blue and green - dive into a riot of colours at Changi City Point with an Insta-perfect fun house, ball pit and must-have rewards and much more! Shop and scan the QR code in your Frasers Experience (FRx) App at point of purchase to enjoy these rewards. Picture yourself in a Volkswagen Tiguan? Simply spend $30^ for a lucky draw chance to drive away in one! ^Prize excludes Certificate of Entitlement, Goods & Services Tax, Road Tax, Registration Fee, Additional Registration Fee (ARF), Insurance, IU Installation, Number Plate, Servicing Package and other incidentals. 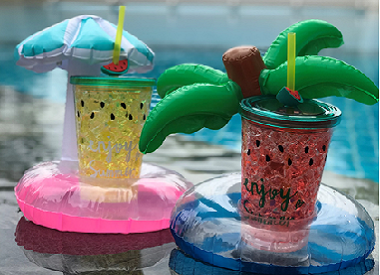 A poolside must-have: Snag yourself an inflatable cup float with matching tumbler when you spend $80* at Changi City Point. Top up your spending to $120* and a $10 Digital Gift Card is yours as well. *Present a maximum of 3 same-day transactions (minimum $10 per transaction) via FRx App at Customer Service, Level 2. Limited to 1 redemption per spending tier per FRx member per day on a first-come, first-served basis. While stocks last. Other terms and conditions apply. Please check details at Customer Service or www.changicitypoint.com.sg. Update: The inflatable cup float with matching tumbler and $10 Digital Gift Card have been fully redeemed. Get a game pass when you spend a minimum of $80+ at Changi City Point. Net three red balls from the ball pit and walk away with awesome prizes: it really is as simple as that! Dine at MOA, Table Manners, FIVE Izakaya or BLVD - and you double your chances to win. Weekdays only. +Redeem your Weekday Bonus / Fun House Frolics / Mega Air Bounce Zone game pass at Customer Service, Level 2. Inflatable unicorns, flashy flamingoes and Insta-perfect moments a'plenty: don't miss all these and more in our technicolor fun house and ball pool! Simply spend $10+ in a single receipt to dive in. It's a treasure hunt like no other with awesome prizes hidden in our fun house ball pool! Simply spend $30 for 15 seconds in the pool - each player can win up to 5 prizes. Please register 30mins before each game session begins. Just for one day: Spend a minimum of $10 to join your fave Mediacorp LOVE 972 DJs for a chance to play pit ball games and win cash prizes! Something for the kids: two fantastical workshops on how to decorate cupcakes (30 & 31 Mar) or cake pops (6 & 7 Apr) with everyone's favourite mythical animal - all topped off with a sprinkle of rainbow-coloured unicorn magic! Spend $100 to secure a workshop slot at Customer Service, Level 2. While slots last. Get jumping on the Mega Air. Simply spend $10+ and redeem 5 mins of playtime! 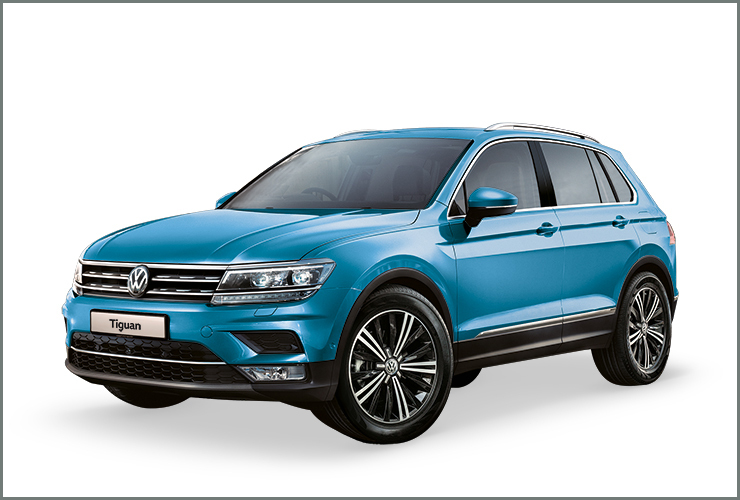 Receive 1 chances to win a Volkswagen Tiguan. Scan your member QR code in the app when paying in-store. The qualifying spending must be scanned to the same Frasers Experience account. Prize excludes Certificate of Entitlement, Goods & Services Tax, Road Tax, Registration Fee, Additional Registration Fee (ARF), Insurance, IU installation, Number Plate Servicing Package and other incidentals. • Minimum spend of $10 in a single transaction to earn Frasers Points. • Minimum spend of $30 at participating malls in a single transaction to earn 1 lucky draw chances. eg. if you spend $40 at a store, you receive 1 lucky draw chances. If you spend $50 at another store, you receive another 1 lucky draw chances. For the spending of $90 in 2 transactions, you receive 2 lucky draw chances. • A winner will be drawn across our 10 Malls on 15 July 2019. • The car must be registered by Nov 2019. Receive an inflatable cup float with matching tumbler set. Minimum $80 spent at participating stores. Limited to a single redemption per Frasers Experience member per day regardless of total amount spent. • Minimum spend of $10 in a single transaction. • Maximum of 3 same-day, same-mall transactions. • Present your member QR code in the Frasers Experience app to verify transaction details scanned to the same account on the day of purchase Customer Service Counter to redeem 1 set of inflatable cup float with matching tumbler. • Available on a first-come-first-served basis and while stocks last. • The Management of Changi City Point reserves the right to verify original receipts and purchases before granting redemption. Update: The inflatable cup float with matching tumbler have been fulled redeemed. Net 3 red balls from the ball pit and walk away with awesome prizes. Limited to a single game coupon per Frasers Experience member per day regardless of total amount spent. Oasis shoppers get double chances. Minimum $120 spent at participating stores. Scan your member QR code in the app when paying in-store. The qualifying spending must be scanned to the same Frasers Experience account. • Present your member QR code in the Frasers Experience app to verify transaction details scanned to the same account on the day of purchase at Customer Service to redeem a $10 Digital Gift Card. Update: The $10 Digital Gift Card have been fully redeemed. Minimum $10 spent at participating stores. Scan your member QR code in the app when paying in-store. • Present your member QR code in the Frasers Experience app to verify transaction details scanned to the same account on the day of purchase at Customer Service Counter to redeem 1 Game Pass. Minimum $100 spent at participating stores. The qualifying spending must be scanned to the same Frasers Experience account. Limited to a single parking coupon per Frasers Experience member per weekday (including Public Holiday) regardless of total amount spent. Limited to the first 50 members per weekday. • Present your member QR code in the Frasers Experience app to verify transaction details scanned to the same account on the day of purchase at Customer Service Counter to redeem free weekday parking for first hour. Available on a first-come-first-served basis and while stocks last. 3. For supermarket spending from FairPrice Finest, member must present same-day, same-mall receipts at FairPrice Finest Customer Service to earn Frasers points. 4. All instant rewards (An inflatable float with matching tumbler, $10 Digital Gift Card, Weekday Bonus, Game Pass for Fun House/Mega Air and first hour free parking) are available on a first-come-first-served basis and while stocks last. All instant rewards must be taken as they are and are not exchangeable for cash or in kind. 5. All instant reward benefits may vary across malls. Please check details at Customer Service Counter. 6. The Management of Changi City Point reserves the right to sight all purchases before granting redemption. 2. 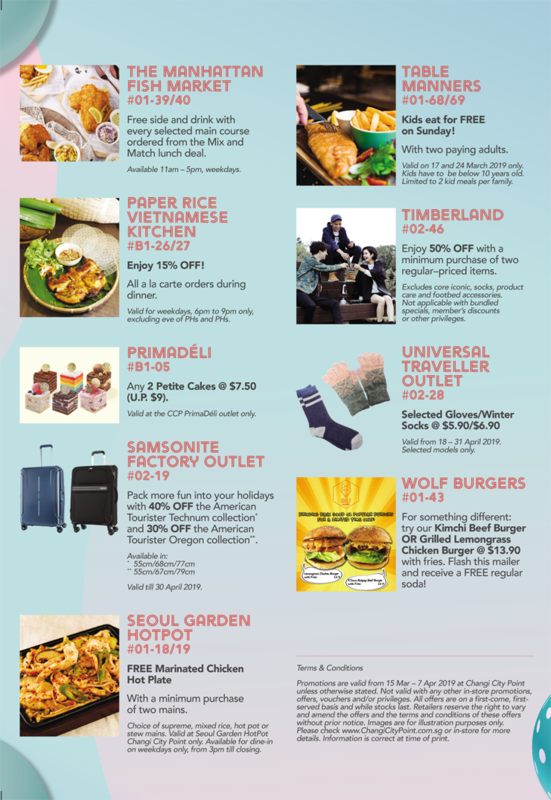 Frasers Experience members earn 8 electronic lucky draw chances with every $30 spent each day at participating malls within the promotion period. Electronic lucky draw chances are registered in the system when the spending requirement is met and when member QR code is scanned. 3. Lucky draw chances are also tabulated on a transaction basis, e.g. if you spend $40 at a store, you receive 8 lucky draw chances. If you spend $50 another store, you receive another 8 lucky draw chances. For the spending of $90 in 2 transactions, you receive 16 lucky draw chances. 1. In the event of any dispute, decisions made by the Management of Changi City Point will be final and no correspondence will be entertained. 2. Information is correct at the time of printing. The Management of Changi City Point reserves the right to change the Terms and Conditions as it deems fit without prior notice.